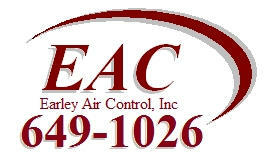 Have you ever applied with Earley Air Control, Inc? Choose One: Yes No If so, when? Type Name and Location Years Attended Graduate? "I certify that the facts contained in this application are true and complete to the best of my knowledge and I understand that, if employed, falsified statements on this application shall be grounds for dismissal. I authorize investigation of all statements contained herein and the references and employers listed above to give you any and all information concerning my previous employment and any pertinent information they may have, personal or otherwise, and release the company from all liability for and damage that may result from utilization of such information. I also understand and agree that no representative of the company has any authority to enter in any agreement for employment, for any specified period of time, or to make any agreement contrary to the foregoing, unless it is in writing and signed by the owners of Earley Air Control, Inc.
using a larger screen device.